The experts in Connecticut excavation projects. We provide residential and commercial excavation work across CT. Whether you’re located in Hartford, Waterbury, Danbury, Bridgeport or elsewhere, we can get your job done right at a great price. Excavation Contractor CT is a group of excavation specialists with years of experience in the industry. We employ a range of heavy equipment, combined with our deep knowledge, to create great work according to your specifications. We have happy customers throughout Connecticut and the Tri-State area. We service the entire Connecticut area. We can travel easily to any location within the state. Whether you are located near Hartford, Waterbury, Bridgeport or a smaller town, we’ve probably done a job there before. Occasionally we’ll travel to Massachusetts or New York as well. We have decades of experience and a wide array of tools and equipment. These allow us to handle a wide variety of excavation services. Some of our services include excavating foundations for new buildings and housing development. We also do removals, power lines, grading, concrete and septic installation and removal. Please look around our website to learn more about our services and experience. Don’t hesitate to contact us with questions or to get a quote. We’re here to help. We are very experienced at digging precise foundations for residential and commercial buildings. If you’re building a new home, we can help. Accurate grading is essential to a structure’s safety and effectiveness. It’s also essential to landscaping projects where every visual element counts. We do grading work to spec and make sure that your land is sculpted in the exact way necessary. 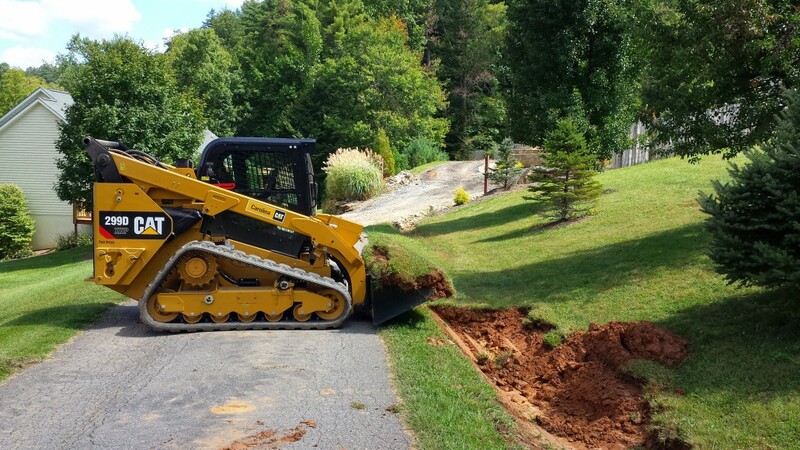 We also excavate for septic system installation, removal or replacement. We can have your tank exposed and replaced in a matter of hours. Nothing will influence the stability and longevity of your home or building more than the ground it’s built on. Which is why choosing the right excavation service is one of the most important keys to successful building. It’s important to verify that your contractor has a successful track record of jobs and has the right equipment for the work. Excavation equipment ranges from small earth movers to large backhoes and other heavy machinery that can cost hundreds of thousands of dollars. If you’re hiring for a large job then you’ll need to verify the contractor is up to it. Checking references and getting testimonials from past excavation clients will also help you make the right choice. When people receive good work they won’t hesitate to praise it and recommend that service to their friends. It’s always wise to get multiple bids for your excavation project. This will ensure that you’re not taken advantage of and that you get a fair market price. Generally speaking, excavation work is priced at a fixed quote, rather than hourly rate. The safety of the excavation crew is important. Which is why the contractor should be insured and follow proper safety measures. It’s also essential to make sure they don’t dig where there are power lines or other utility lines. Consumers can call 811 to have your utility company tell you where lines are buried. They’ll even come mark them for you. This will prevent damage to your neighborhood’s power supply and potential danger to the excavation contractors as well. Permits – it’s important to know whether any work permits or specific licenses are required by Connecticut (or your particular state) to do the work you intend. And do they have these permits? Subcontractors – will they be using any subcontractors? You’ll want to know exactly who is responsible for the work getting done right. And that they also have the correct licenses, permits and insurance. Excavation Quality – what quality guarantee do they provide? What happens if you’re dissatisfied with their work? Surety Bond – Is the contractor bonded for the value of your project? If they’re not, will they increase it for this project? A surety bond ensures that a contract is fulfilled if the hired contractor defaults on the work. Payment – Does the contractor require prepayment or a deposit? If so, how much? As local CT excavators, we pride ourselves on our work and rates. Contact us today to discuss your project and what we can offer you. We will exceed your expectations! 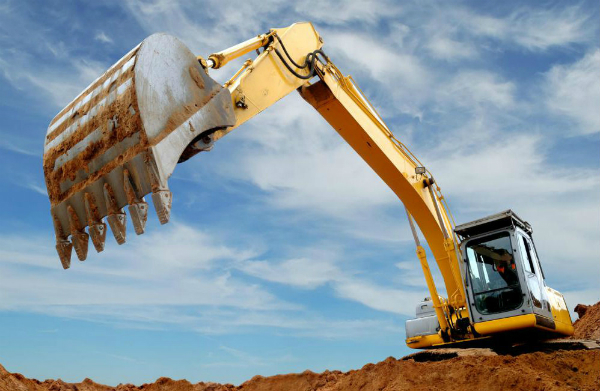 Excavation Contractor CT provides a variety of excavation services across Connecticut. Whether you're building a new foundation, grading, landscaping or doing septic work, we can work with you to get the job done right. We will exceed your expectations! © Excavation Contractor CT 2016.